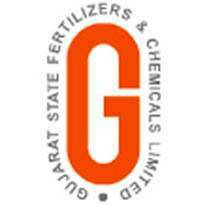 Gujarat State Fertilizers & Chemicals Limited (GSFC) Published Recruitment Notification for Vice President / Chief, Manager / Deputy Manager, Mechanical Engineer, Assistant Technician, Assistant Manager, Junior Executive and Executive Officer Posts. View More Details About This Recruitment Including Total Posts, Posts Name, Qualification, Age Limit, Salary, How to Apply etc., are Given Below. Vice President / Chief (Research & Development) : Ph.D in Chemistry or Agriculture Related Subjects or Full Time Masters Degree in Chemical or Agriculture Related Subjects. Vice President / Chief (Application Development Centre) : Ph.D in Polymer Science & Technology or Full Time M.E. / M.Tech in Polymer Science and Technology / Polymer Engineering / Plastic Engineering or Full Time B.E. / B.Tech in Polymer Science and Technology / Polymer Engineering / Plastic Engineering. Manager / Deputy Manager (Project Development) : Full Time B.E. / B.Tech (Chemical) from Recognized University. Deputy Manager (Mechanical) / Mechanical Engineer - Degree Engineers : Full Time B.E. / B.Tech (Mechanical) from Recognized University. Mechanical Engineer (On Long Term Contract) - Diploma Engineers : Full Time Diploma in Mechanical Engineering from Recognized University. Manager / Deputy Manager (Marketing - Industrial Products), Chennai : Essential : Graduation with MBA / PGDM (or any Equivalent 2 years Full Time Management Course). Preferable : MBA / PGDM in Marketing All Courses must be from Recognized University. Manager / Deputy Manager (Contract Management) On Long Term Contract : Full Time B.E. / B.Tech (Preferably Mechanical / Chemical / Industrial / Production Engineering). MBA / PGDM (Finance) shall be an added advantage. All Courses must be from Recognized University. Assistant Technician (Electrical) - On Contract (For Sikka Unit) : Diploma (Electrical) with Minimum 60% and having at least One year of Relevant Experience. Full Time Course from Recognized Institution. Manager (Agribusiness), Bengaluru - For GATL : B.Sc. Agri. with MBA / PGDM (Preferably in Agri Business Management) or any Other Post Graduation Course in Agriculture like M.Sc. Agri. All Courses must be Full Time from Recognized University. Manager (Agribusiness), Chennai - For GATL : B.Sc. Agri. with MBA / PGDM (Preferably in Agri Business Management) or any Other Post Graduation Course in Agriculture like M.Sc. Agri. All Courses must be full Time from Recognized University. Manager (Agribusiness), Hyderabad - For GATL : B.Sc. Agri. with MBA / PGDM (Preferably in Agri Business Management) or any Other Post Graduation Course in Agriculture like M.Sc. Agri. All Courses must be full Time from Recognized University. Manager (Agribusiness), Kolkata - For GATL : B.Sc. Agri. with MBA / PGDM (Preferably in Agri Business Management) or any Other Post Graduation Course in Agriculture like M.Sc. Agri. All Courses must be full Time from Recognized University. Deputy Manager / Manager (Retail Operations) : Essential : MBA from Recognized University. Desirable : MBA in Retailing from Recognized University. Deputy Manager / Manager (Sales Training) : Essential : MBA (Agri Business) / M.Sc. (Agri) from Recognized University. Desirable : Certification in Training. Assistant Manager / Deputy Manager (Collaborate Marketing) : Essential : Post Graduation in Agriculture / Management (or any other Equivalent Two years Course) from Recognized University. Preferable : MBA / PGDM in Agri Business Management. Executive Officer (Sales Promotion)-On Contract : Essential : MBA from Recognized University. Desirable : MBA (Agri Business) / M.Sc. (Agri.) from Recognized University. Junior Executive / Executive Officer (Accounting)-On Contract : Essential : B.Com. / M.Com. from Recognized University. Desirable : MBA in Finance. Executive / Executive Officer (Sales & Projects)-On Contract : M.Sc. (Agri.) or B.Sc. (Agri.) or B.Sc. (Chemistry).